Every business needs to protect themselves from accidents or injuries that may occur on their business grounds. General Liability insurance coverage can protect your Nevada business from these unexpected expenses. There are many different plans and options when choosing a General Liability plan, and our experienced agents at McCready Insurance can assist you in finding the right plan at the right budget. If you have the right liability insurance plan in place, you can be protected if you face a lawsuit. Certain Las Vegas, Nevada businesses face more risk of accidents or injuries, so doing an analysis of your business can help in finding the best General Liability plan that fits your needs. Nevada General Liability insurance, along with your property and work comp policies, protects your business if you're sued for personal injury or property damage. A typical policy will cover those accidents or damages that occur on-site or as a result of using goods or services sold by the company. In addition, coverages can be designed to cover additional costs like attorney fees or court costs. Our agents can assist you in considering all aspects of your General Liability insurance package to give you the most appropriate policy available. 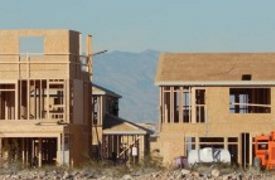 We will help you customize a specific plan that works for businesses in Las Vegas Nevada including the Henderson, Pahrump, Reno, and Summerlin areas. So contact McCready Insurance today to speak with one of our trusted agents about your Nevada General Liability insurance & answer any questions you may have and provide you with a General Liability quote.